In the west curtain wall of the Citadel you can visit two fascinating archaeological finds. They have been placed together in a special viewing room providing an insight into the early history of this special place. 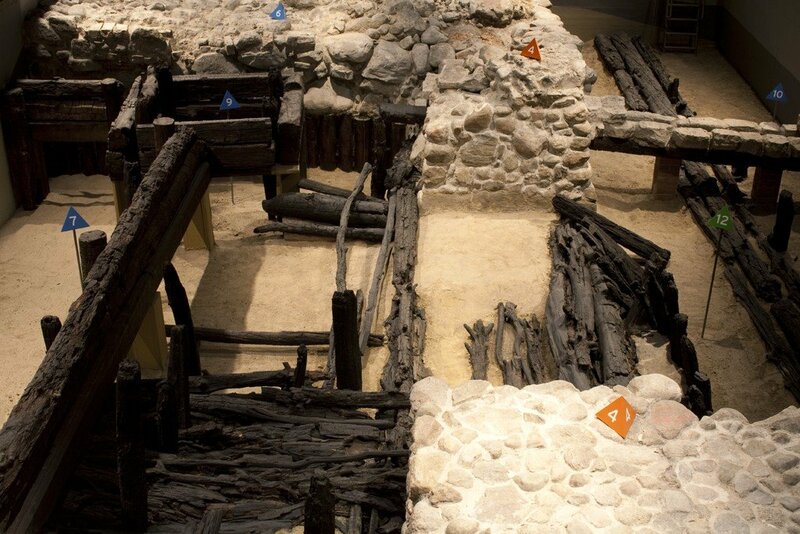 One of the exhibits is an excavation of the remains of a Slavic wall made of wood and earth, of the later stone castle wall, and of the palace complex from the Renaissance time. 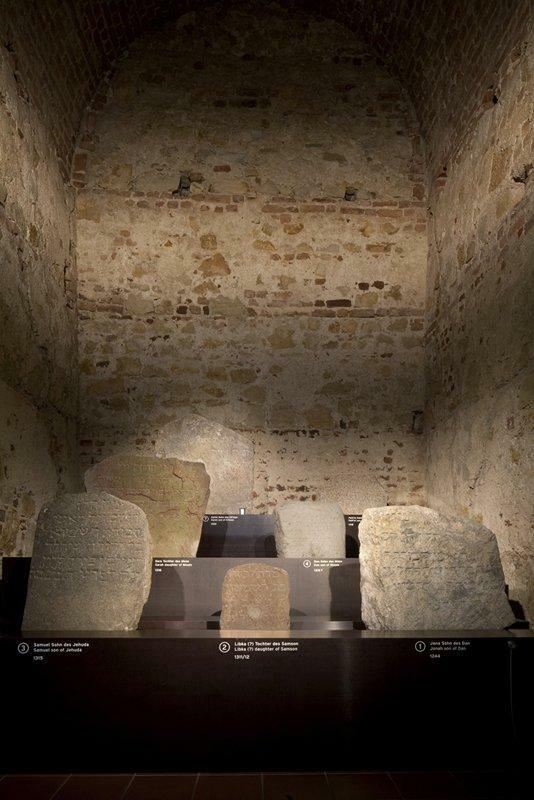 You can also see medieval Jewish gravestones which were probably removed in the 15th century from the Jewish cemetery in Spandau and used as building material for the castle. An audio commentary explains the meaning of the gravestones by reading out the inscriptions in Hebrew with translations in German and English. 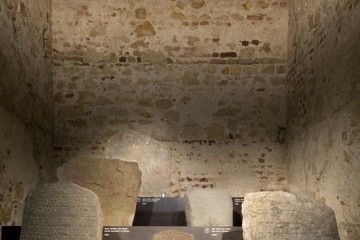 The redevelopment of the Archaeological Window (project ARCHE) was financed by a funding of 203,000 € in 2015 by means of the European Regional Development Fund (ERDF) in the cultural investment program (Kulturinvestitionsprogramm KIP) of the Senate Chancellery – Cultural Affairs. Further funding came from the Senate Department for Urban Development and Environment.